Quickest car I've owned as of yet, impressed with acceleration of sti ra, handled awsaumelly on dirt roads, was doing 180 on dirt and felt completely in control taking crns at 140+ steering in hard sending car sideways dropping down a gear accelerating hard, car glided through every CNR like it was on rails, only thing I didn't like about car was noise level inside from engine and exhaust, I had to yell at my passengers for them to hear me and his versa. My sti ra 97 was modified slietly, had larger turbo, boost on 18-20 psi, exhaust was costom made by a friend, 3"3/4 strait through, hks dif control, front mount intercooler, aftermarket cpu , had cpl other mods sespension and brakes were all upgraded, I purchased the car wit everything done, for a bargain too. 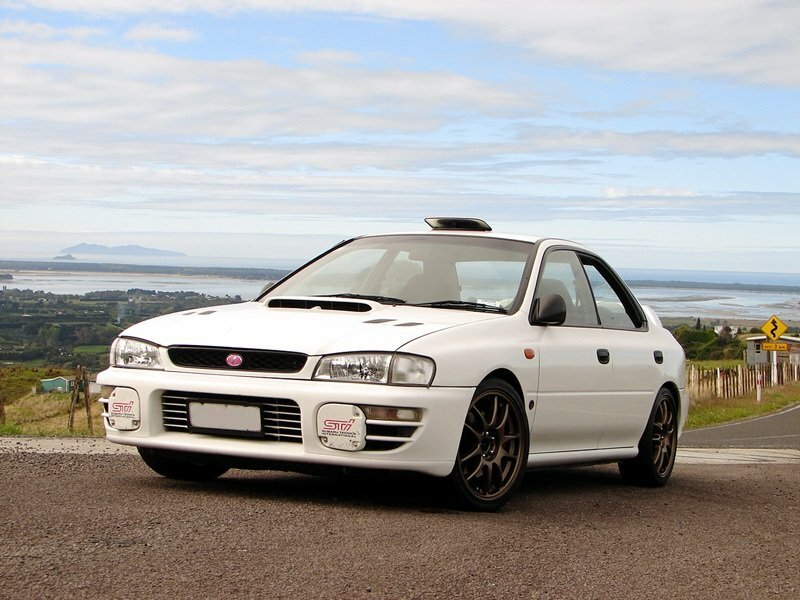 Was second wrx for me, the first was a 99-00 mod witch had its fair share of mods I might add, after killing the engine, it spat a valve. I found the sti ra while looking for replacement engine,i was looking for a sti engine for my replacement but for $2500 more I could have the sti ra! I jumped on it straight away, I had to fly half way accross the country to look at it, but this could only mean I thing? Road trip home. Was absolutely wicked trip home, very very impressed wit my new toy. Unfortunately about a year later I had to part with her" I lost my licence for 5 years" no point keeping her and my other babies if I couldn't drive them for so long. If I'd kept her or any of my other babies I'd drive them.